New academic and industry credentials were created as well as innovative teaching methods designed to engage students in effective learning activities. 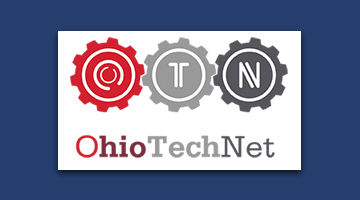 The innovations include industry-based certifications, new approaches to credit for prior learning, new competency based education programs, and active learning strategies. Roane State Community College’s Jack Parker explains the process of converting the state of Tennessee’s Nursing Curriculum into an online modular competency-based delivery option for students. This modularized focus also allows to easily convert content to online delivery options. The modules created can be plugged into the wide-ranging course configurations and varied curriculum plans at the various institutions. Northeast Wisconsin Technical College’s Anne Kamps sharing how Wisconsin transformed its statewide policy on Credit for Prior Learning /Prior Learning Assessment. The colleges have collaborated to implement Credit for Prior Learning /Prior Learning Assessment practices throughout each of their autonomous districts to help attract and retain adult students. This systemic approach included leadership buy-in, navigation of the academic and student systems, established processes, and assessment tool development. Lord Fairfax Community College’s John Milam describes the benefits of competency-based education and the Knowledge to Work portal. The Knowledge to Work portal was designed to support direct assessment and was built with many of the same features, such as using national competency frameworks, personalized learning, and OER. The portal also provides students with personalized learning plans using competencies tied to open educational resources. Cayahoga Community College’s Phyllis Koldondy shares the college’s strategic scheduling strategy to allow students to obtain stackable credentials faster and simultaneously. Strategic scheduling helped to meet the needs of the students by allowing them to receive a short term certificate in one semester. Scheduling 20-25 hours a week for 16 weeks provides a student 18 credit hours per semester. Massasoit Community College’s Cristy Sugarman describes how they developed their Credit for Prior Learning website for use across the state of Massachusetts. 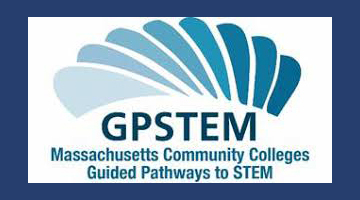 From Year 1 to Year 2 of the grant, students earning PLA increased by 110% among students in GPSTEM programs. The statewide web-based platform allows for consistency of policy and process for the Credit for Prior Learning framework across all fifteen Massachusetts community colleges. 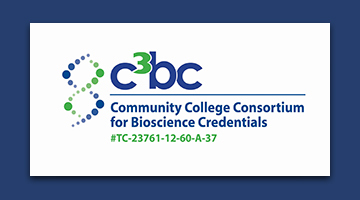 The C3BC created new bioscience industry recognized credentials and courses built on the development of an employer-driven skills standard. To help educators incorporate the C3BC Medical Device Skill Standards into their classrooms and labs, the Medical Device Hub created Courses in a Box materials with industry subject-matter experts. The Learning Technologies hubs focused on removing barriers to student learning through the design of modularized and ﬂexible learning experiences that could be widely disseminated to college educators and students. 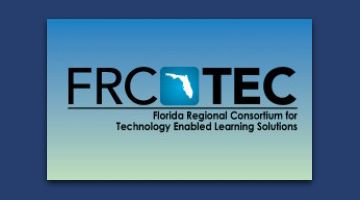 FRC-TEC developed a user-friendly competency-based curriculum design which made it possible for each institution to use the pre-designed class but still allowed users to modify the curriculum to add any institutionally required elements. The courses are also visually engaging and designed to offer students an exceptional learning experience with consistent navigation and an intuitive, responsive design. 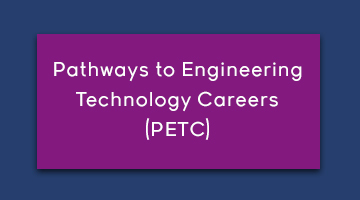 The FRC-TEC program also designed career readiness steps—from entry level to advanced training— to expand and improve each consortium member’s capacity to deliver education and career programs using technology-enabled training and restructured delivery. PETC welding instructors created online welding tutorials on concepts most commonly proving to be excessively difficult for their electronic, pneumatic, hydraulic, robotics, PLC, and automation students to visualize—and hence—comprehend. The resulting 126 animated and narrated ‘power concept’ tutorials has all but eliminated these hard spots in the curriculum. These tutorials are animated/narrated in a manner that brings the concept into context more quickly than even the instructor is able. Therefore, students can move onto the next sequential topic more rapidly. 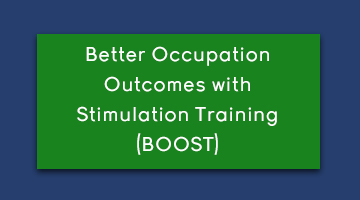 BOOST developed online supplemental materials for the Nursing Assistant program. Due to the program’s innovations, the external evaluator reported that the comparison cohort of non-BOOST students took longer to receive pre-health/pre-nursing certification than BOOST students to receive their first academic credential (i.e., with regards to the Nursing Assistant Certificate, students were able to watch the videos prior to lab experiences, thereby benefiting from the “practice-to-mastery” opportunity in the simulation center, and were subsequently better prepared to care for the frail and elderly with confidence in the long-term care facilities). 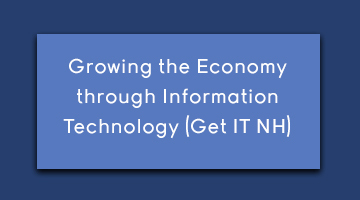 GET IT NH designed a Mindful Communication certificate based on responses from industry employers. A certificate in mindful communication makes students more marketable across a broad range of fields, including information technology, healthcare, business, education, and human services. Emotional intelligence is widely recognized as helping people succeed and move up in their careers, and studies also suggest that those with high EI often earn higher salaries than those with low emotional intelligence.